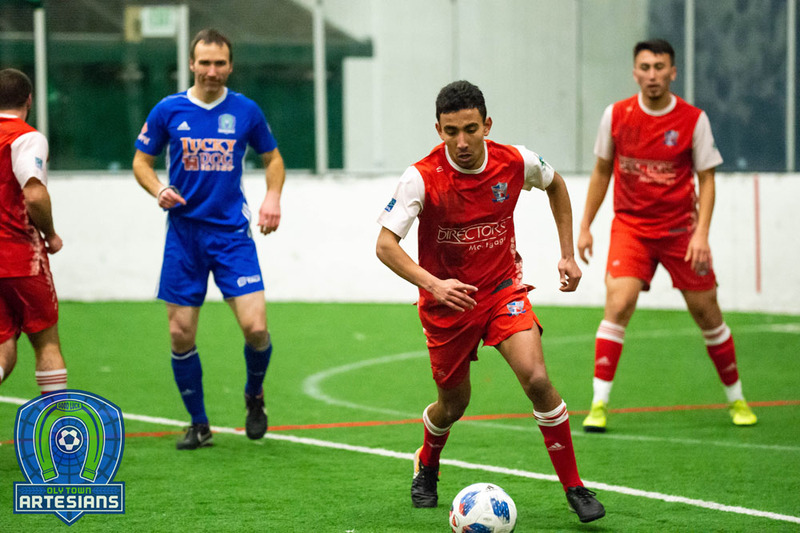 ARLINGTON, Wash. – The Oly Town Artesians scored three goals in less than two minutes in the fourth quarter and Matt Stalnik’s strike with 12.5 seconds left broke a 6-6 tie and handed the Artesians a 7-6 win over the Arlington Aviators in Western Indoor Soccer League action on Saturday night. 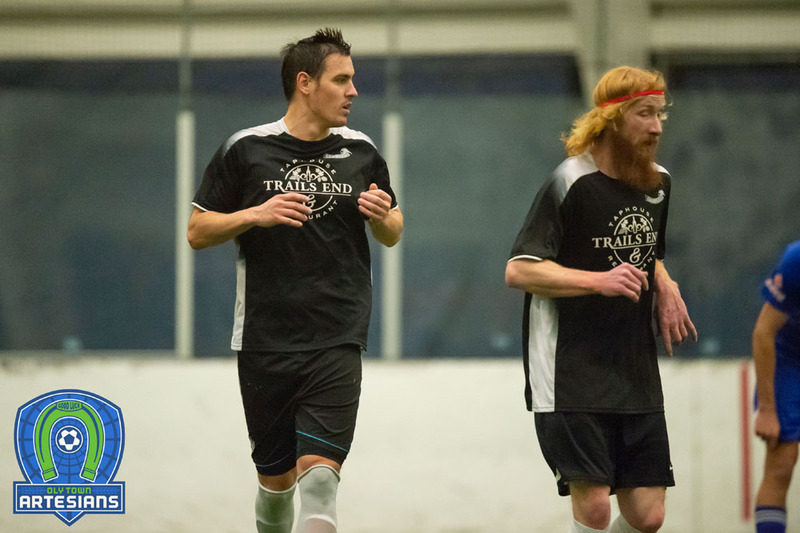 Wille Spurr and Greg Wolfe each recorded a brace and the Artesians moved into sole possession of second place in the WISL with the win. The night got off to a rip-roaring start for the Artesians when Greg Wolfe struck on the first possession just 15 seconds into the game off an assist from Matt Stalnik. Aaron Burns tied the game up seven minutes later and the Aviators took the lead on a Russ Brown power play goal with 2:15 left in the first quarter. Oly’s Willie Spurr went into the air and found the back of the net on a fantastic goal with 30 second left and the first 15 minutes ended with the two teams tied 2-2. Winfred Smith drew first blood in the second quarter to put the Aviators up 3-2 at the 13:30 mark. The lead wouldn’t last long as Martin Ramirez scored 90 seconds later to pull the Artesians even at 3-3. But the blue cards mounted for the Artesians and the Aviators scored their second power play goal of the game when Miguel Fajardo found the back of the net and the half ended with Arlington on top, 4-3. The two teams went scoreless in the third but erupted for six goals in the final period. The Aviators struck first when Burns streaked past the Artesians defense and beat keeper Mauricio Sanchez one-on-one to give Arlington a 5-3 lead. They looked perfectly in control dominating possession and limiting Artesians shots through the first 10 minutes of the fourth quarter before the Artesians suddenly woke up. Spurr got Oly to within a goal, 5-4, at the 4:48 mark. Less than a minute later, Nate Salveson unleashed a howler that beat Aviators keeper Eric Cruz to tie the game at 5-5. Following a turnover on the restart after Salveson’s goal, Wolfe scored his second of the game just ten second later to give Oly the 6-5 lead. With 3:10 left, the Aviators were shown a blue card to put the Artesians on the power play for two minutes and it looked like Oly would coast to the finish line. But Brown scored the shorthanded goal finding the top left of the goal with 1:30 left to play and it looked like the Artesians comeback would fall just short of the W.
But with 12.5 seconds left, Stalnik placed himself on the back post and a shot across the box found him in perfect position to drill one home and give the Artesians a 7-6 lead. Stalnik, for is effort, was slammed into the boards by the Aviators’ Andrew Escalante on a late and reckless challenge and suffered a nasty looking injury to his knee. The extent of the injury will not be known for a couple of days. After a lengthy delay for the injury, Escalante was shown a red card for his challenge and a blue card was issued to the Artesians’ Ramirez for arguing, the Aviators had one last shot but Sanchez made another save and the Artesians were able to run out the clock on a 7-6 comeback win over the Aviators. 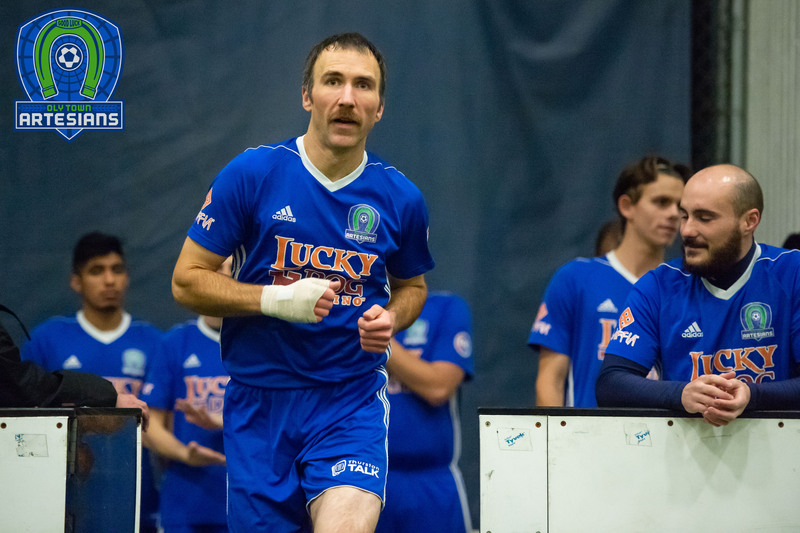 With the win, the Artesians picked up three more points and sit alone in second place behind the Tacoma Stars. Oly leapfrogged Wenatchee, who fell to Tacoma 12-6 on their home field, and Bellingham, who were idle on Saturday night. 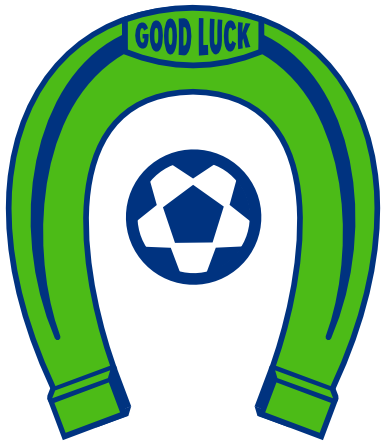 Oly travels to Whatcom County next week to take on Bellingham United at 7:30 PM.